Branded with your corporate logo, these Promotional Anti-Gravity Phone Case makes for a great promotional product! Best for Taking selfies, Skyping, Having FaceTime Conversations, Recording Videos or simply making multi-tasking easy! Magical adsorption rate mobile phone case, can be firmly absorbed on smooth surface: glass, mirror, plain metal, writing white board, tile, smooth surface of the painted furniture, etc. Suitable for mobile phone GPS, can be placed or detached anywhere/anytime you want. Free your hands so that you can conveniently watch videos. The Promotional Anti-Gravity Case is also designed to protect against drops and scratches. This Promotional Anti-Gravity case is better than a selfie stick & you won’t forget it! When the case back is dirty with dust, you can easily clean it with water to get it looking like new again. Works perfectly with all phone functions including GPS, WIFI, Apple Pay, 4G, NFC, Bluetooth. If it’s not sticky, then how does it stick? The answer lies in millions of extremely small suction cups and it works surprisingly well without being sticky to the touch. If dust or lint accumulate on the nano-suction material, you can just rinse it clean with water or wipe it off. 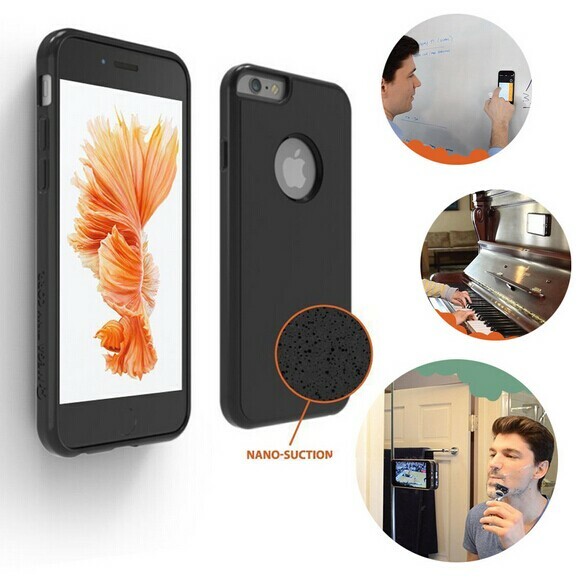 Imagine millions of tiny suction cups on the back of your case providing grip to smooth surfaces, this makes it perfect for hands-free selfies and much, much more. The case itself is thin, but durable, with slightly raised edges that protect your screen from drops. 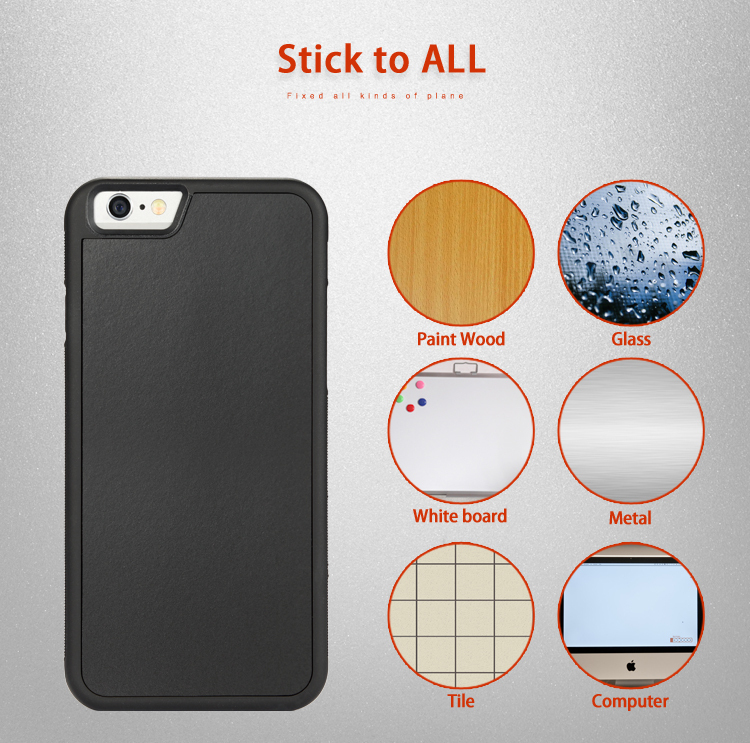 Even though it’s a tough case, it is surprisingly trim, adding just 3mm to the thickness of your phone.